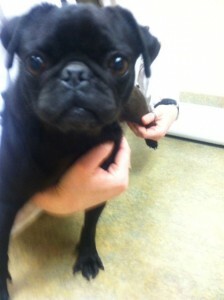 Paris is a 4 year old female black pug who was surrendered by her owner who didn’t have enough time for her. She is potty trained, crate trained, and loves the furniture ;-) . She received medical evaluation and was recently placed into foster care. More information is soon to come.